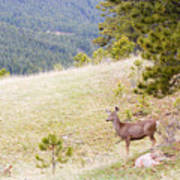 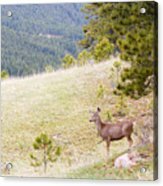 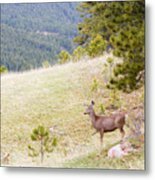 There are no comments for Yearling Mule Deer In The Pike National Forest. Click here to post the first comment. 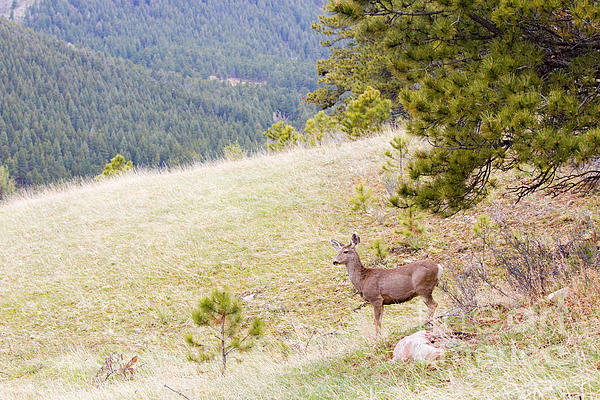 Yearling mule deer with her spots still faintly visible is foraging for food high in the mountains of the Pike National Forest of in Colorado on a beautiful spring morning.